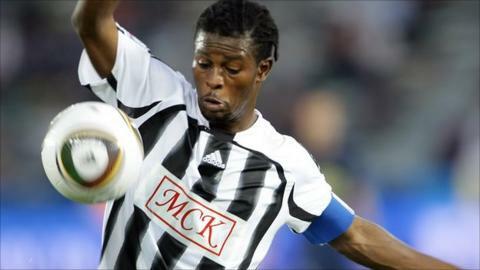 TP Mazembe of the Democratic Republic of Congo are through to the semi-finals of the African Champions League. They beat Al Ahly of Egypt 2-0 in their Group B showdown in Lubumbashi on Sunday to secure their place in the last four. The result put both clubs into the semis as the Cairo Red Devils arrived in the DR Congo having already qualified. A draw would have ensured top spot in Group B for Ahly but the home side had other ideas, and won with goals from Deo Kanda and Tanzanian international Mbwana Samata. In Group A, meanwhile, defending champions Esperance of Tunisia and Sunshine Stars of Nigeria secured semi-finals places earlier in the week after their pool was was reduced to three clubs following the disqualification of Etoile du Sahel of Tunisia for crowd trouble.